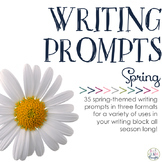 Here are 45 writing prompts for Spring. 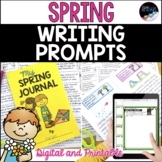 Included in this packet you will get writing cards that can be printed out and laminated, choice of 5 different journal covers, writing pages, and graphic organizers. 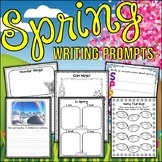 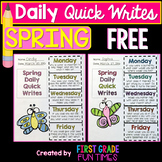 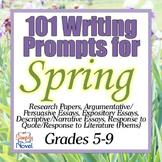 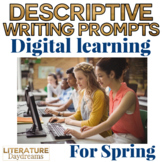 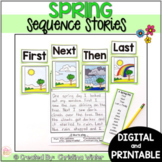 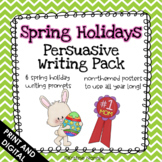 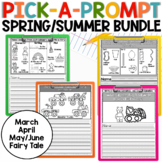 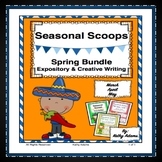 Writing Prompts for Spring in Task Card Format for Fun CCSS Practice! 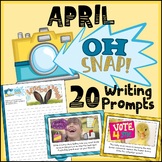 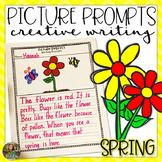 This is a one page writing prompt- My two favorite things to do in the spring are... 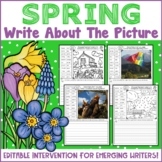 It includes a spring picture and directions-" finish the sentence and give a reason why"